We’re pleased to announce the fifth year of the Antipode Foundation’s Scholar-Activist Project and International Workshop Awards. – Scholar-Activist Project Awards are single-year grants of up to £10,000 intended to support collaborations between academics and students and non-academic activists (from non-governmental organisations, think tanks, social movements, or community/grassroots organisations, among other places), including programmes of action-orientated and participatory research and publicly-focused forms of geographical investigation. They offer opportunities for scholars to relate to civil society and make mutually beneficial connections. – International Workshop Awards are single-year grants of up to £10,000 available to groups of radical/critical geographers staging events (including conferences, workshops, seminar series and summer schools) that involve the exchange of ideas across disciplinary and sectoral boundaries and intra/international borders, and lead to the building of productive, durable relationships. They make capacity-building possible by enabling the development of a community of researchers. 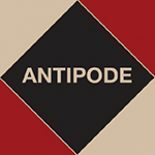 This entry was posted on 17 October 2016 by Antipode Editorial Office in News.